Is souvenir shopping a mandatory element of any trip you take? If that’s the case, you’re in luck in Las Vegas. Whether you’re searching for simple t-shirts or a very Vegas-y dice clock, there’s a Vegas gift shop out there for you. Budget-friendly gifts are at the top of many visitor’s lists, and one of the best ways to find inexpensive gifts is at drugstores and convenience stores. Some shops, like the ABC Stores, have conveniently combined all the best things about a convenience store with a gift shop. If you’ve left anything at home, want a snack or just want to pick up a coffee mug with “Las Vegas” on it, it’s a good place to stop. If a t-shirt or ashtray doesn’t fit your souvenir-shopping style, try checking out the souvenirs available at any attractions or businesses you visit. For instance, the Gold and Silver Pawn Shop might not have a stock of cheap t-shirts, but they do have an eclectic collection of merchandise and some Pawn Stars swag. You might also get to see the television show being filmed if you stop in. 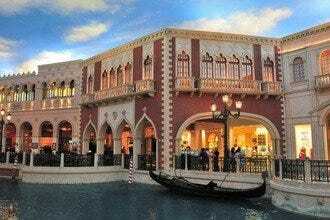 Scroll down for our suggestions on the 10 best places to shop for souvenirs in Las Vegas. With locations throughout Las Vegas and along the Strip, Walgreens offers shoppers a quick, inexpensive stop for t-shirts and other souvenirs. Several of their stores are open 24/7, so you can go looking for souvenirs at any time, which is a good thing when you're in Las Vegas. A major bonus to stopping in at Walgreens is that they also have a selection of all kinds of general merchandise, including food, as well as a pharmacy. 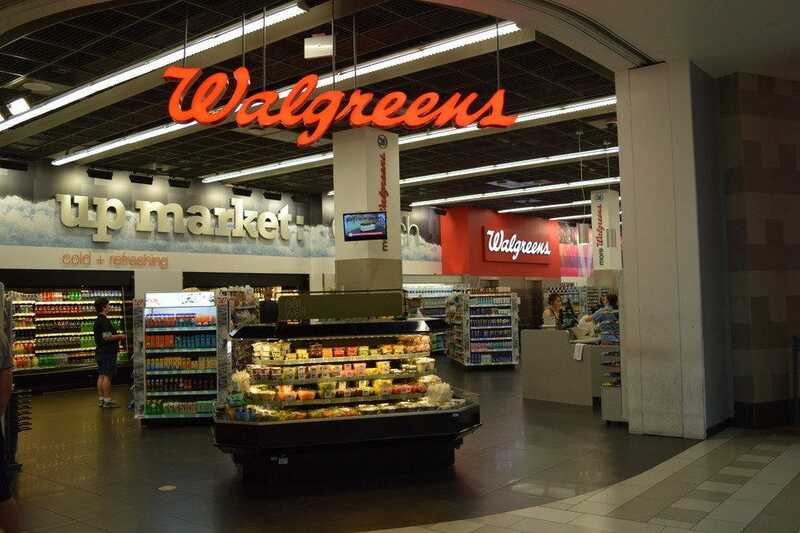 Depending on what items you need, Walgreens can be a convenient one-stop shop for practical purchases as well as picking up a few budget-friendly t-shirts and souvenirs for your friends. If you're looking for a fun and inexpensive gift or souvenir, magnets can be a great choice. At Magnet Max, you'll find a wide assortment of refrigerator-worthy designs that are sure to spark up conversations. 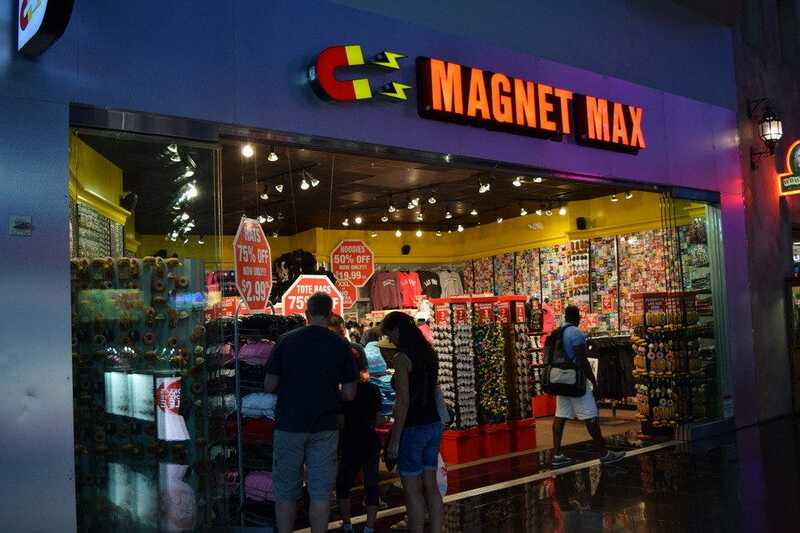 Customers will find a large variety of collectible magnets and Las Vegas branded souvenirs, including t-shirts. People without a lot of luggage space are sure to find a gift that will fit in any size bag. 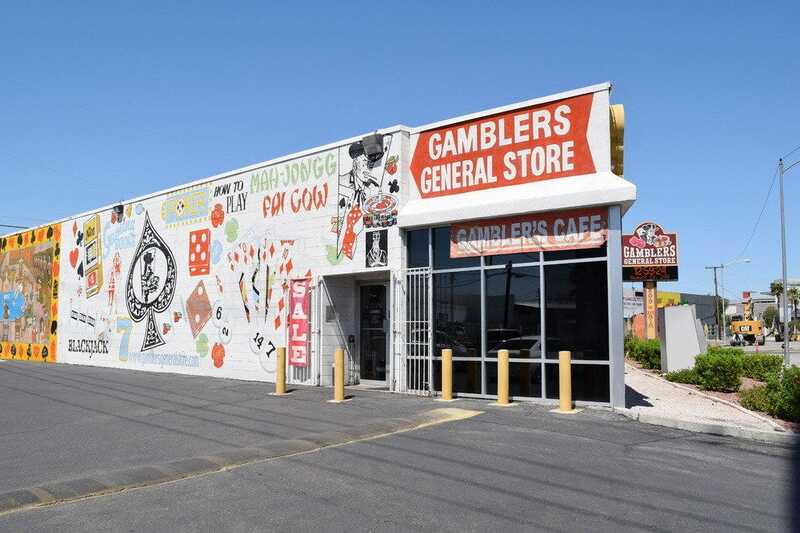 For a fun, affordable souvenir that will remind you of Las Vegas, or maybe just something that will make you laugh�–stop in to browse and you're certain to find plenty of choices. 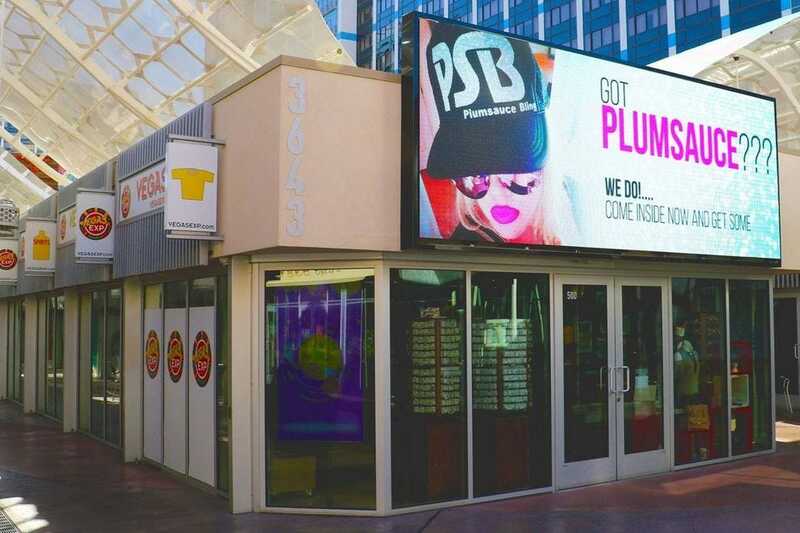 Arguably the world's most famous pawn shop, Gold & Silver Pawn has become one of Las Vegas' most popular tourist attractions thanks to the History Channel's "Pawn Stars." You name it and you can probably find it here, including the occasional celebrity; everyone from Paula Dean to Dave Chappelle has stopped by. 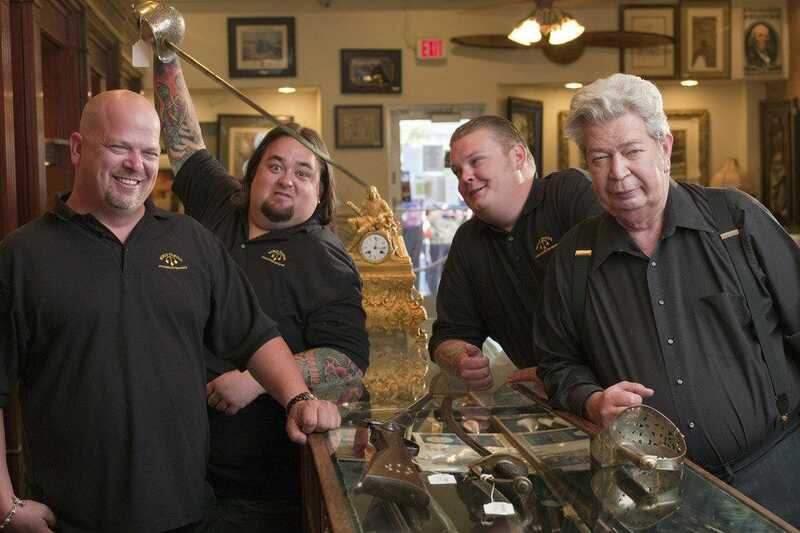 From art to jewelry, antiques to cars, sports memorabilia to military artifacts, Gold & Silver Pawn has it all. A new retail center, Pawn Plaza, is adjacent to the store and is gaining tenants, notably Rick's Rollin Smoke Barbeque and Tavern where owner Rick Harrison sometimes tends bar and hangs out with the crowd. Shirts, hats, mugs, dice--you'll find it all at Vegas Exp, located in Bally's Grand Bazaar Shops. 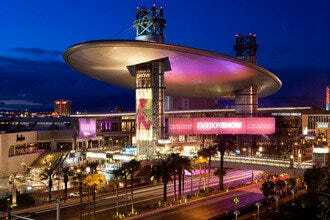 You'll also find merchandise for the Golden Knights, Las Vegas' hockey team, and the Raiders, the football team slated to make Las Vegas its home within the next couple of years. In addition to a full selection of key chains, shot glasses and ashtrays, Vegas Exp also stocks a mini-mart type area with drinks, booze and snacks. The store offers digital interactive tech that allows customers to browse and purchase items--and even ship those things back home--all with their smart phone, a rather unusual (and forward-thinking) feature. Satisfy your sweet tooth at one of the sweetest retail shops on the Strip. 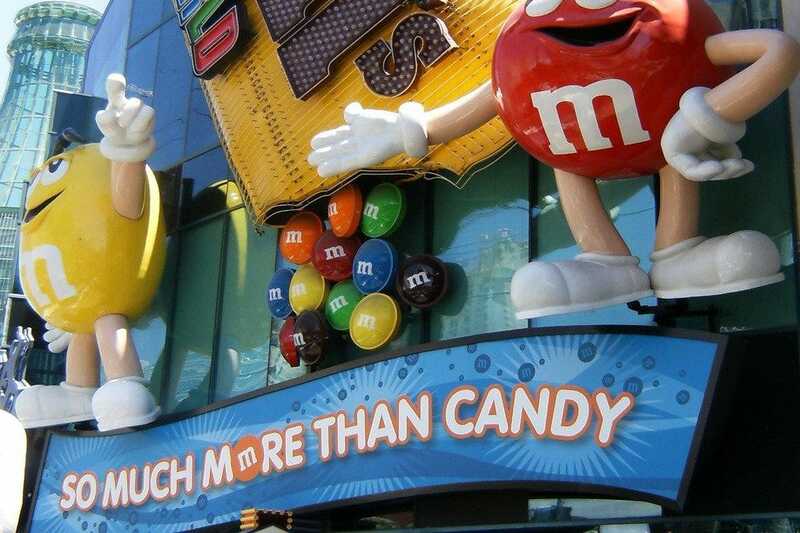 This 28,000-square-foot, four-level monument to the colorful fun of M&M's Brand candies is the perfect stop for fans of the candy. Guests can create their very own personalized M&M's at the one-of-a-kind Personalized Printer machine, offering an array of 16 vibrant colors as well as 14 printable Las Vegas icons. Guests can personalize the M&M's with their names, a special message or date or any other text that fits on two lines (eight characters per line). The process is quick and easy and takes just about two minutes, making them a great souvenir. There's also a variety of fun items for shoppers to purchase that won't "melt in their mouth," like T-shirts, collectibles and M&M's NASCAR merchandise featuring Las Vegas' own Kyle Busch. A popular spot with tourists and locals alike, this fun store carries a wide selection of Coca-Cola-branded products ranging from T-shirts and hats to kitchenware and collectibles. Whether you're looking for a bottle opener or a handbag for the Coca-Cola fan in your life, this two-level retail shop is sure to have it all. There's also a soda fountain on the second floor that offers selections from 16 different global brands, as well as Coke, Diet Coke, Coke Zero, Powerade, Coca-Cola floats, different flavored shots that can be added to any beverage and the Coca-Cola Freestyle machine, which features more than 134 different flavor combinations. Be sure to visit the soda fountain on the second floor and sample the Taste of the World flight, which features 16 different Coca-Cola brands from around the globe. 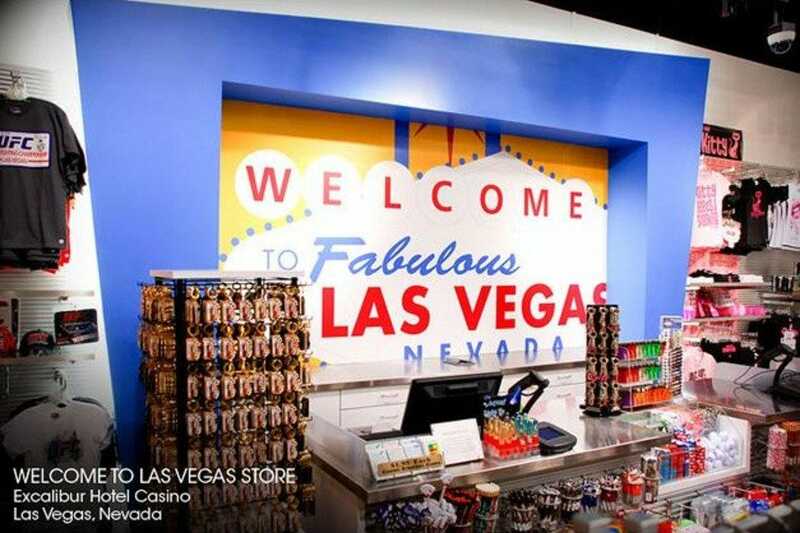 Featuring a dazzling array of Las Vegas-emblazoned souvenirs, the Welcome to Las Vegas store is a one-stop shopping experience when you're trying to find souvenirs for yourself or someone back home. 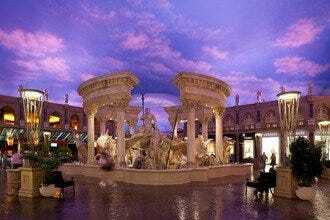 With stores located up and down the Vegas Strip in several hotels--including inside Excalibur on the second level--there's sure to be one close by. Every item here is full of Vegas-ness, in all the ways you can incorporate the city into souvenirs, especially apparel. Fun gifts, keepsakes, t-shirts, and a mix of other common souvenirs fills the shelves and racks. If you're not sure what to get to commemorate your trip to Las Vegas, this souvenir shop will give you plenty of options. The Gamblers General Store says it's the world's largest gaming supply superstore, and to back that up they carry every conceivable type of gaming supply. This is the place for dice, cards, shuffling machines, chips and books. They have decades of expertise in making chips, and they've even made chips for movies. The store's massive stock is part of the attraction for visitors, and what better souvenir from Las Vegas than something associated with gambling? 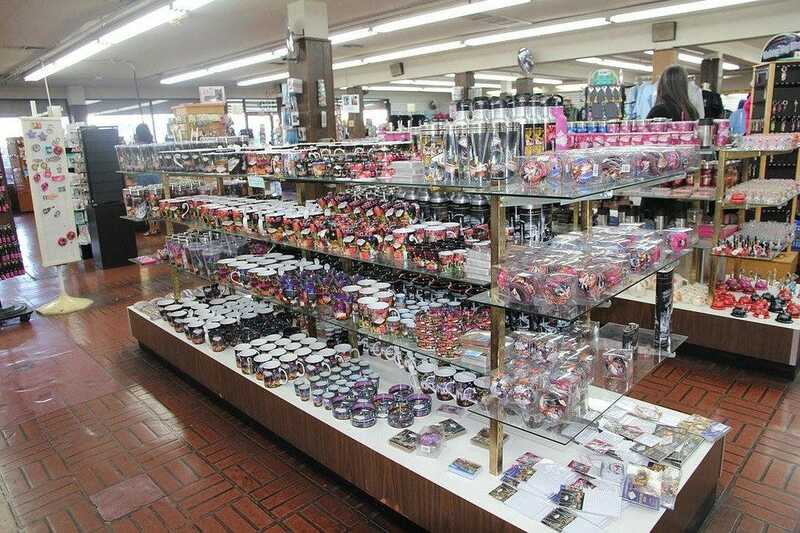 The store also carries the usual Las Vegas souvenirs, like t-shirts and coffee cups and other typical items. Their selection of stock, which includes memorabilia and antique gaming machines, gives customers a lot to explore. ABC Stores is a name many people recognize, since the chain has stores in Hawaii, Guam, Saipan and Las Vegas. The inviting and modern design of ABC Stores lends itself to browsing, and it's full of convenience store staples at reasonable prices. 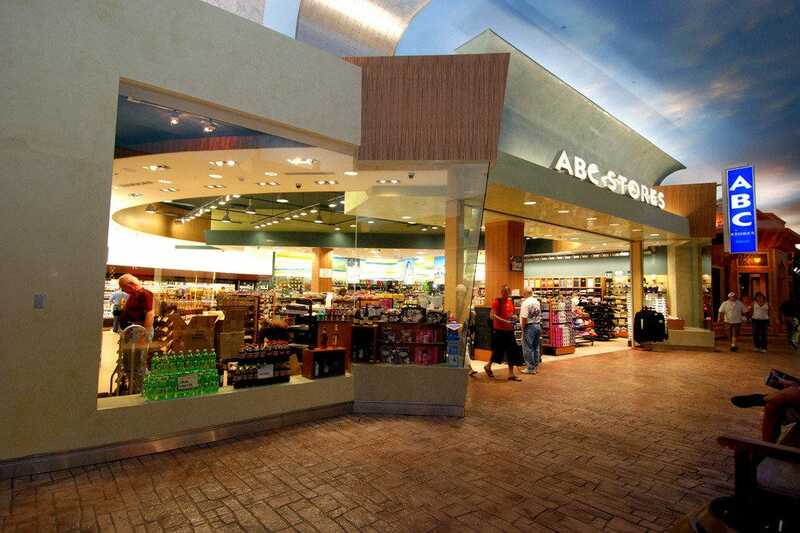 With six locations throughout Las Vegas, ABC Stores is an easy one-stop shop for souvenirs and travel necessities. Carrying a wide variety of items, including deli, groceries, fine wines and spirits, drugs and cosmetics, gifts, souvenirs and apparel, ABC Stores is sure to have what you're looking for without breaking the bank. You'll also find some of the same items that are stocked in their Hawaiian stores, like beach supplies and chocolate covered macadamia nuts. 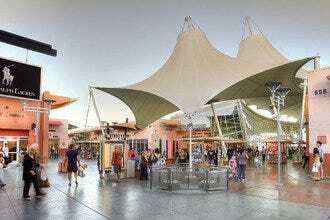 One the most recognized and frequently photographed shops in Las Vegas, Bonanza Gift Shop has everything you could want in a souvenir shop and then some. This massive store has a wide selection of typical souvenir items like Vegas-themed t-shirts, key chains, magnets and hats. Anything that can have "Las Vegas" printed on it can be found at the Bonanza Gift Shop. A recently opened kids section features clothes, games and toys so you'll be sure to find something for everyone. The store sells some classier novelties, including handmade Native American jewelry, poker chips with a leather carrying-case and stainless steel travel mugs. Additionally, they stock a variety of liquor. 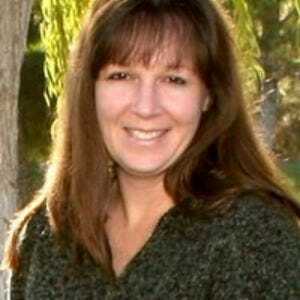 This is the place to find wacky and unusual items as well, whether associated with Las Vegas or not. Kitsch is alive and well at the Bonanza Gift Shop.